Dailies principally refer to Vanguard Dailies or H Quests. Vanguard initiative dailies give flat gold, vanguard points, and feedstock. The vanguard points are used for buying items from the Vanguard initiative quartermaster or crystal merchant. Items from these vendors can be sold on the trade broker for quick cash. The current ratio from points to gold is about 2.5g per 1 point. The feedstock can either be tier 5 or tier 6 feedstock, with rewards ranging from 10 per day to 60, usually dictated by difficulty/time cost. A character can fulfill up to 8 vanguard dailies a day. An elite character can fulfill twice said amount. If one wanted to maximize profit, an Elite account can run multiple characters to fulfill many more dailies. Though in my honest opinion this is too extreme, even for me. 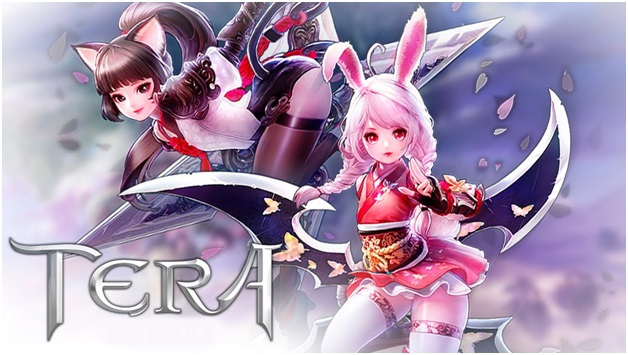 If you have no more countless hours of farming Tera Gold, then our marketplace has players waiting for you to buy cheap Tera Gold right now! Vanguard dailies come in 3 categories. Dungeons, PVP, and General. Dungeons are dailies that are fulfilled upon the completion of endgame dungeons. Nearly every endgame dungeon in the game has a vanguard daily accompanying it (baring Timescape both difficulties, Akeron’s Inferno hard mode, and Sabex Armory). The rewards, however, like the dungeons, are not equivalent. Harder dungeons will reap greater rewards (though this is not always the case: refer to Adventure Time! Bathysmal Rise). PVP dailies are fulfilled upon a win in any PVP battleground. There is definitely a bias towards certain battlegrounds however in terms of rewards. General dailies are fulfilled for killing mobs/bams or gathering certain nodes. As said, the dungeons rewards are not equal. There is a definite bias towards newer/remade dungeons that the other ones available. If you want to fulfill vanguard dailies with dungeons, the best ones to attempt are Akeron’s Inferno, Bathysmal Rise, Shattered Fleet, and Vault of Kaprima. Akeron’s Inferno should take anywhere between 25-35 minutes to complete. Bathysmal Rise should take 10-15 minutes with a good group, and the last two should take 15-30 minutes to complete. These dungeons are all time efficient and reap great rewards in terms of tier 6 feedstock and vanguard points. All the dungeons give 90 vanguard points for elite players, except for Bathysmal Rise which gives 80 vanguard points. There are other ways to make Tera Gold with PvP ie Battlegrounds. However, in terms of vanguard dailies, the battleground Corsair’s Stronghold is the definite choice. The battleground gives the highest reward out of all the dailies, with a whopping 300g (through feedstock) and 170 vanguard points a win. Essentially, this means a single Corsair’s Stronghold win is approximately 700g. The reason why this daily does not take precedence over others, however, is that it can only be fulfilled with a win. With a corsair’s match averaging at 25 minutes, a string of losses could actually land you in the red in terms of gold making. The newest patch gave vanguard dailies two new brothers to work with. The Naga daily and the Kuma daily. These are bam dailies that are fulfilled upon killing 10 Naga Marauders or 10 Electric Kumas (not their actual name). It is advised to do these with a party, easily found through the LFG chat. A party usually completes these quests within 5-8 minutes dependent on party size and gear. It is important to note, that the Kuma and Naga dailies can be done 16 times, essentially fulfilling all of your vanguard dailies. Both the dailies give the same rewards, 15 tier 6 feedstock and 90 vanguard points upon completion. For other general quests, the better quest to do are the gathering quests. Especially the Engine Parts, Reflected Roots, Lime, and Soul Fragments quests. These give admittedly little in terms of rewards, but a player can fulfill all gathering quests within 20 minutes of gameplay. Completing all the gathering quests will net an Elite character 260g and 300 vanguard points. In terms of raw gold that is 1k a day/20 minutes of gameplay. It is up to you to decide how to fulfill your vanguard dailies. Players that are PvE based will want to do dungeons/raids. PvPers might want to spam battlegrounds, especially Corsair’s Stronghold. Those short on time/sick of dungeons will likely want to fulfill General quests. I find, however, a mix of all these approaches is a good way to make money. If you want to maximize your dailies (that means 16) you should play regularly but set aside 1 hour before logging to do dailies.